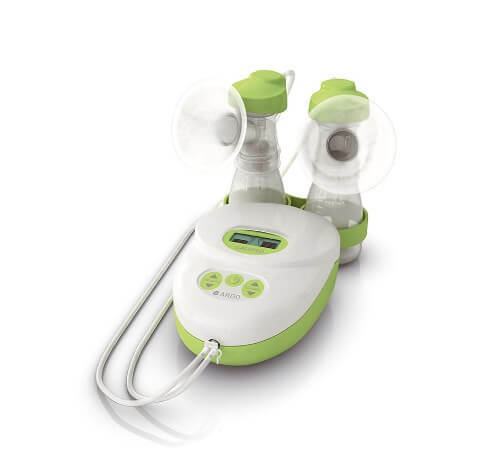 Quiet Expressions Double Electric Breast Pump allows for one handed double pumping with it’s unique handle to hold both collection cups at one time. 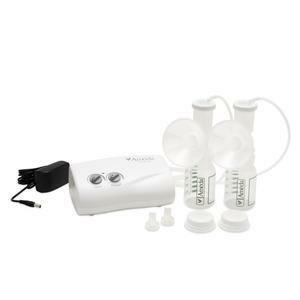 This pump has eight adjustable suction settings and comfortable silicone breast shields. 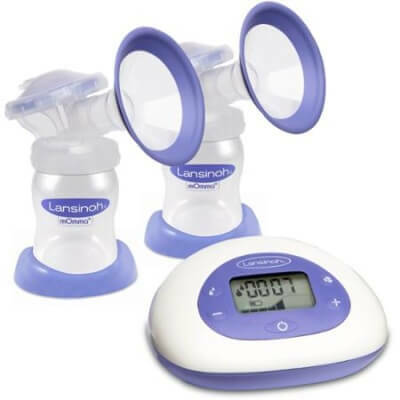 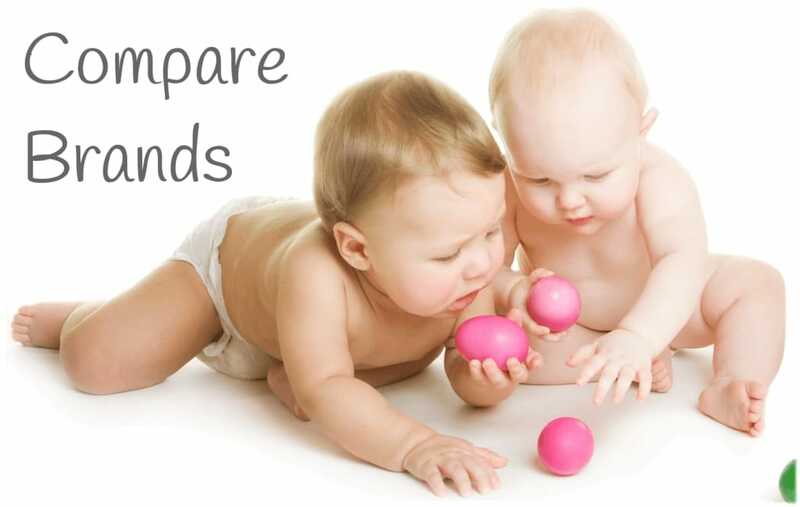 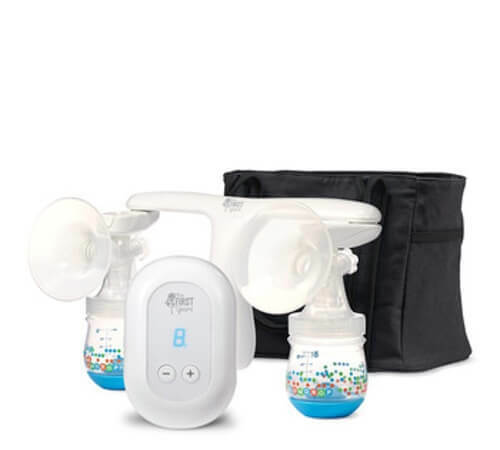 This lightweight pump comes complete with a tote bag making it the perfect on the go breast pump.